Students who have been noticing a significant lack of options at Mount Royal University since the closure of Herb n’ Market, will be seeing some new options in the next coming weeks as the university is trying out food trucks, with different options each day of the week. If you spend any time in the always-busy Wyckham House, you are sure to hear students complaining about the lack of variety. Stefan Durston, who is developing the food truck pilot, feels that this is an important addition for student life. The five-week program, which has already begun, will showcase new food trucks on the ring road outside East Gate five days a week from 10 a.m to 2 p.m.
Durston is hoping the program will be successful and that they will be able to have food trucks on a more permanent basis. “We want to get more options for students and staff, and also have fun and have something different,” Durston said. The important thing for students to remember is that the program will only grow if there is student and faculty interest: the more food you buy, the more food trucks will come. A program like this isn’t without flaws. MRU student Angie Lang has little interest in leaving the warm hallways to greet the bitter Calgary weather just for more food options. Lang isn’t alone on this thought. Students spending most of their time in the Wyckham House area don’t feel the food trucks will be a convenient option for them, and would much prefer new offerings taking space in the old Herb n’ Market. “I would much rather they re-open the Herb n’ Market. Food trucks have no interest to me,” said MRU student Zana El-Youssef. So far the vendors driving onto campus include Yummy Yogis, Vasilis, Waffles and Chix, Red Wagon Diner and Sticky Rickys. 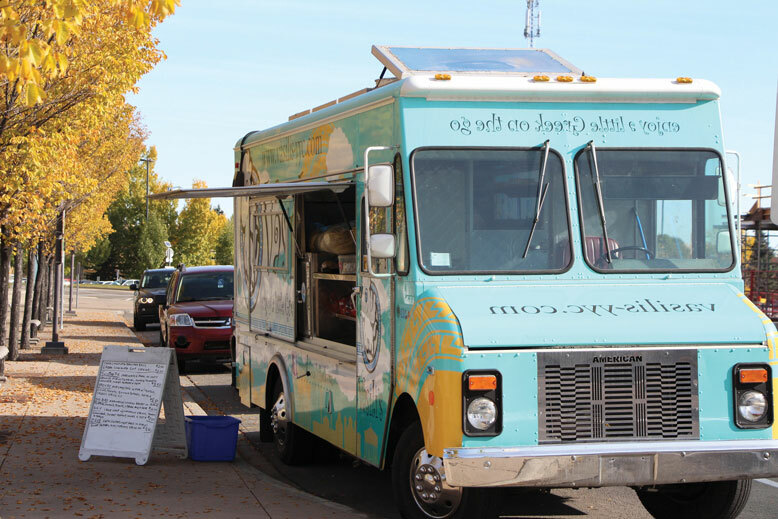 If you are interested in the food truck program, be sure to check out the MRU food services website where there is a schedule posted.